CSM France is divided according to French Constitution into three formations. One formation has jurisdiction over sitting judges, and is presided by the President of the Cour de cassation who also presides over the Plenary formation. The second formation has juridiction over public prosecutors and is presided by the General Prosecutor of the Cour de cassation. 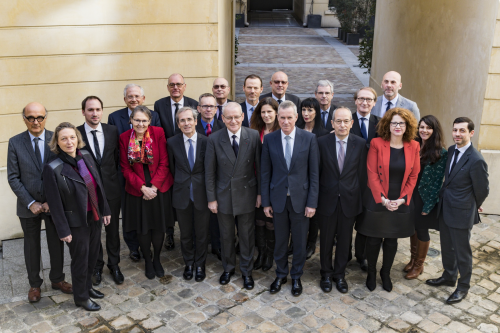 CSM France is composed of eight lay members. Six of them are prominent figures appointed by the President of the Republic and the Presidents of both Chambers of the Parliament. Two other lay members are appointed, one by the Conseil d'Etat and the other one by the French Bar Association. Six judges and Six prosecutors are elected to the Council by their peers. The CSM members hold office for 4 years. You can find the full list of the members here.